This question has been puzzling me for a long time. Gerald Durrell is famous as a naturalist, as a fierce protector of animals.He built a sanctuary in the Channel Islands, the Jersey Wildlife Preservation Trust. I read many of his books about his childhood, spent in Corfu. As a child he has collected animals, hunted them, robbed their nests for their young and paid hunters in order to obtain them. He locks them up in a cage and studies their behaviour. If they are lucky they are freed, for instance if they are too messy or too hard to take care of. I found this somewhat dubious behaviour, but children sometimes don't know any better. 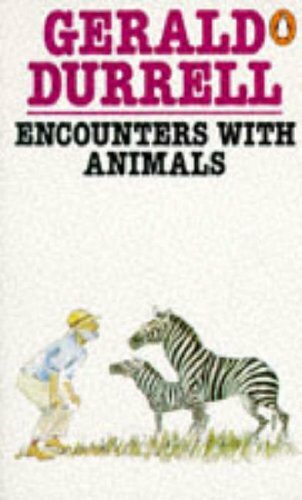 But now this book is about mr. Durrell's professional life, where he travels mostly Africa and South-America, to hunt and trap wild animals for zoos in England. So he still takes animals from their natural home, locks them up, drags them a continent away for them to spend the rest of their lives in cages. During the process many of them must have died, being wounded during trapping, from pure stress or through the hands of a callous captain - Gerald Durrell is the one who put the animals on his ship in the first place. He regularly calls them "prizes". They are referred to as "charming" and I get the sensation that that's their only justification of life for him, their aptitude to serve as pets. Never do I find the tiniest bit of remorse about his role in endagering species or making life miserable for individuals. He calls himself an animal lover. He must be extremely cruel or extremely stupid. This is the last time I have read any of his charming stories. Entertaining accounts of the courtships, wars and characters of animals encountered in West Africa, South America, and elsewhere. I am passing this book on to KJSkye because she wants to read it, and then she has someone else in mind to send it on to! If you are the finder of this book it would be nice if you could leave a message here to say that you have it. Do not worry because I don't want the book back. It is yours to keep if you want it. I just want to know it is now in safe hands. You have not only found yourself a good book, but a whole community of booklovers dedicated to sharing books with each other and the world at large. I hope you'll stick around a bit and get to know BookCrossing --maybe even make a journal entry on this book. You may choose to remain anonymous or to join. If you do choose to join, I hope you'll consider using me, chamonix44. as your referring member. Thank you chamonix44 for giving me this book. I intend to read it, and then send it on to someone else. I read this book today. I loved it. Gerald Durrell was a very good writer! I am planning on sending this on to someone else. I chose this book for you because you said you like books about animals, and this book is about animals. 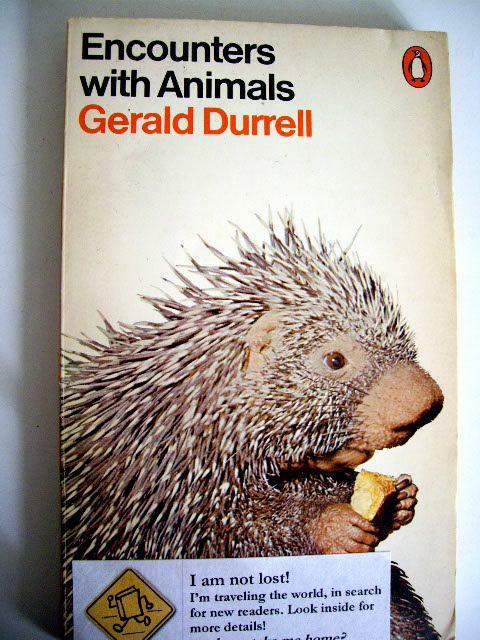 It is written by a very famous author, Gerald Durrell. One of my mother's favourite authors. I've received this book (along with another one from Gerald Durell) for the Bookcrossing Summer Gift Giving 2009, thanks so much KJSkye!